This one feels a bit like it belongs in the archives of my portfolio (given the number of years that have passed)! But since I spent a good number of my formative years at EMU, I decided to keep it in my portfolio. 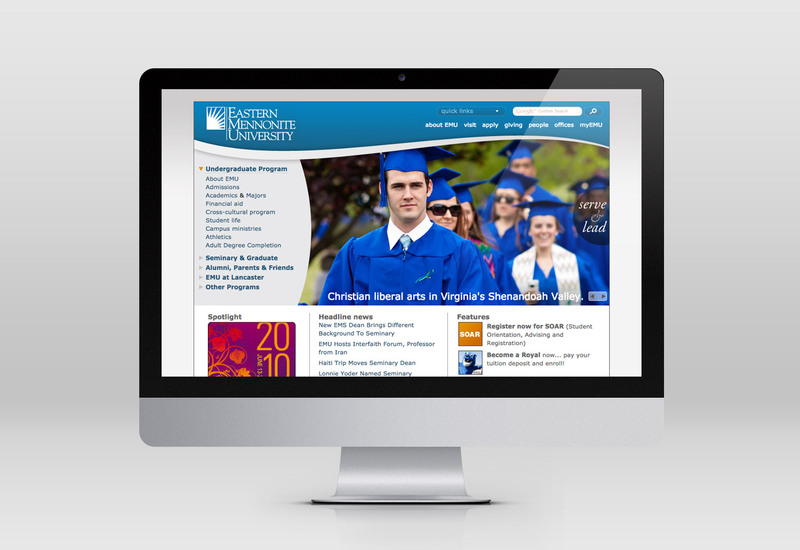 Between 2002 and 2010 I had the privilege of collaborating with a talented group of folks at Eastern Mennonite University to develop and maintain the university’s website. The “web work team” was comprised of members of both the marketing department and the IT department and would meet regularly to plan and discuss work to be done on the web. The outcome of the team’s meeting would guide the practical development of the website. My job was to focus on the aesthetic design of the web – both at the individual page content level as well as at the overall site framework level. 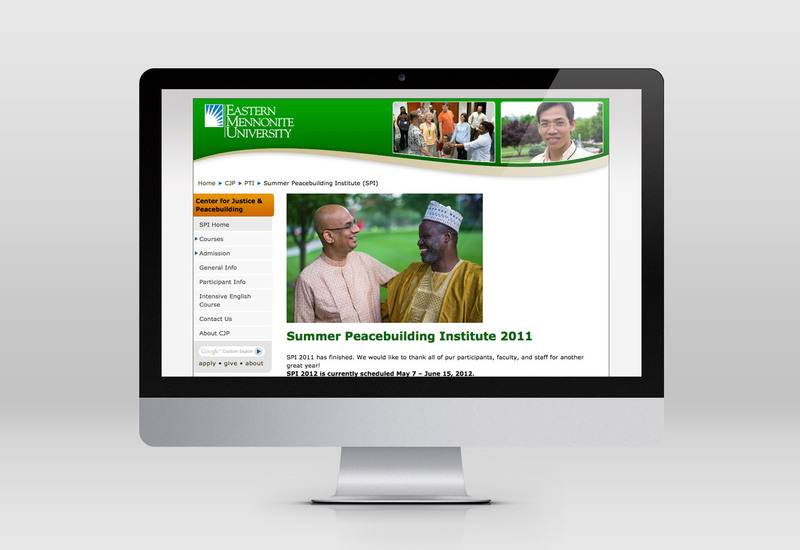 A highlight of my time at EMU was overseeing several major redesigns of the website – in 2005, 2007 and 2010. One of the principles which I strived for through the various updates and changes was design consistency. 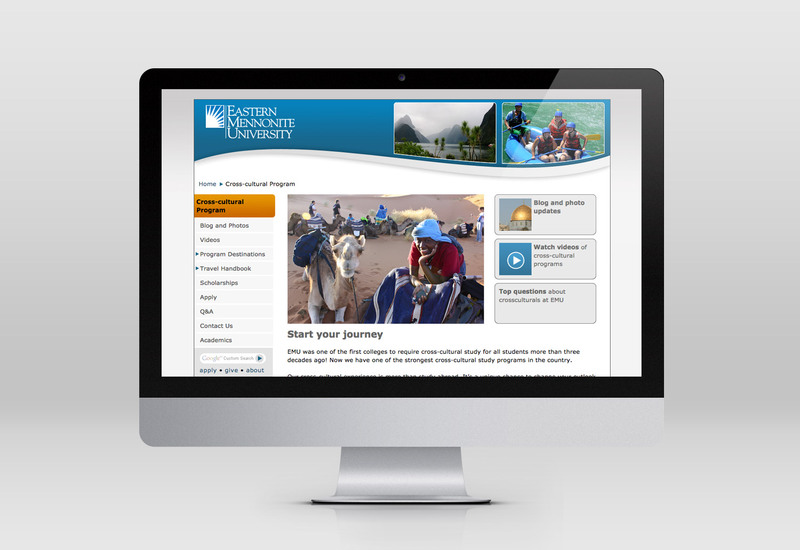 It was important for me to maintain a consistent look and feel both throughout the various sections of the EMU website as well as with EMU’s printed marketing material. 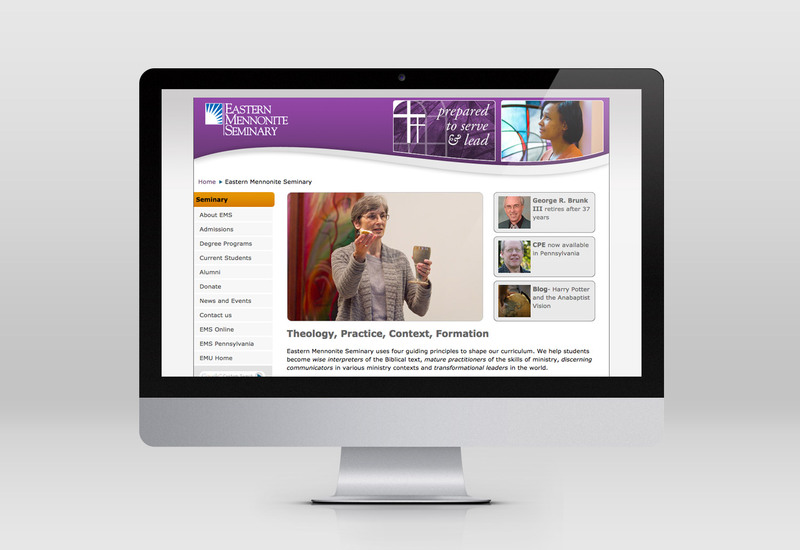 Feel free to visit EMU’s website, but keep in mind that the current pages may not all necessarily reflect my work since my involvement with EMU has shifted away from the web design aspect.